Many people prefer to preplan their funerals and prepay the costs of those funerals. Wisconsin law, like the law of many other states, allows such burial agreements, but prohibits funeral homes from keeping funeral prepayments in their possession. Instead, a funeral home receiving a prepayment from a depositor under a burial agreement is required to place the prepayment in the trust. The law is designed to ensure that the money is available to pay the funeral costs at the time the consumer passes away. The WFT Liquidating Trust (formerly the Wisconsin Funeral Trust) was established by the Wisconsin Funeral Directors Association (the “WFDA”) in 1999. Before then, each funeral home established its own trusts, often with a local bank. The Trust was established as a single trust to hold the funeral prepayments of many consumer-depositors who purchased burial agreements from many funeral homes. This kind of funeral trust is sometimes called a “Master Trust.” People who believe in using Master Trusts for funeral prepayments argue that Master Trusts cost less to maintain and better protect consumer-depositors through professional management and better rates of return. The WFT Liquidating Trust was in receivership from September 2012 through June 2015. Currently, a board and Trustee oversee policy and meet the fiduciary responsibilities of the Trust pursuant to the court-approved Trust Agreement. A board and Trustee oversee policy and meet the fiduciary responsibilities of the Trust pursuant to the court-approved Trust Agreement. Edward M. Brady, a former name partner with Komisar Brady & Co., LLP was appointed Trustee of the Trust in June 2015. John P. Devine, president of Milwaukee Capital, Inc., and William R. Walker, retired equity analyst and portfolio manager with Mason Street Advisors, an affiliate of Northwestern Mutual, serve on the Board with Brady. Combined, the board has more than 103 years of experience in finance and investments. The Trust is administered by Fiduciary Partners, Inc. Ziegler Capital Management, LLC provides advice to the Trustee concerning investment of the Trust’s assets. Are all Wisconsin funeral prepayments held by the Trust? Why was the Trust in Receivership? 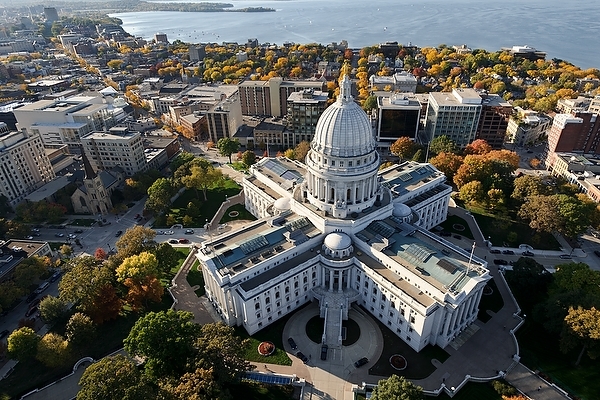 The Trust was placed in receivership in September 2012 after the Wisconsin Department of Financial Institutions (“DFI”) and the Wisconsin Department of Justice (“DOJ”) claimed that the Trust’s funds were invested and handled in violation of Wisconsin law. They alleged that the Trust’s portfolio was invested too aggressively in high-risk investments. Moreover, they alleged that the manner in which deposits were procured violated Wisconsin securities law. The Dane County Circuit Court appointed Milwaukee business attorney John Wirth as receiver of the Trust to preserve and protect the Trust’s assets and to recover as much as possible of the Trust’s shortfall from responsible parties. Wirth served as receiver from September 14, 2012 through June 30, 2015. What were the results of the receivership? After recovering more than $11.75 million, and substantially reorganizing the Trust, the receiver made a recommendation to the Court that the receivership end. This recommendation was approved on June 12, 2015 and the receivership formally ended on June 30, 2015. Throughout the time the Trust was in receivership, all consumer-depositors whose funds were invested in the Trust received the benefits they were originally promised. In addition to the recovery of funds, individual funeral home operators stepped up to cover a portion of the funeral costs that were unable to be covered through the Trust. Throughout the process, consumer-depositors were treated fairly and have received the promised coverage. The Trust is now in a stronger position than it was in 2012 and, therefore, funeral homes (the direct beneficiaries of the Trust) are better protected from potential losses. The Trust is fiscally stable; the reorganized leadership structure will keep it on solid footing in the years ahead; and consumer-depositors will continue to get what they were promised going forward.